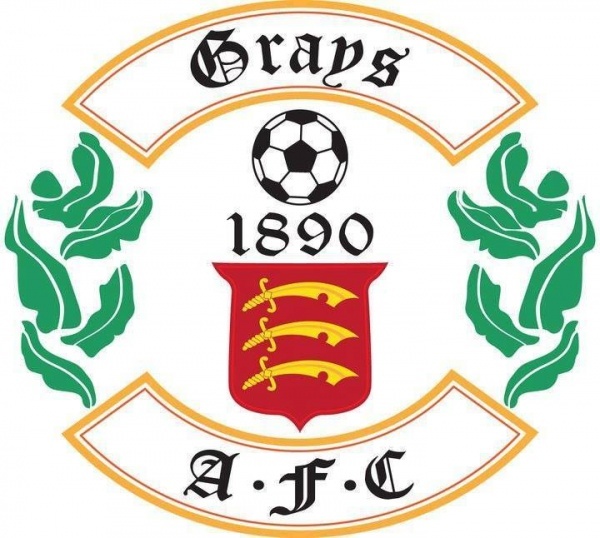 AN ENTERTAINING FA Cup tie saw Grays Ath and Harlow Town draw 2-2 at Mill Field in the FA Cup. Jamie Guy got the first shot out but it was off target. Harlow's first real chance came from a mistake by Jordan Wilson. James Smith got close to the area but the attack fizzled out. The wind was making conditions a bit tricky as both teams found it hard to get a grip on the game. This was Kenny Beaney's 150th game for the club and it was good to see him show his skill and graft in midfield. Grays' bustling style was not sitting well with the officials and Aaron Best-Riley received a yellow card for a tackle on Shane Stamp. It was Harlow who broke the deadlock in the 25th minute with a shot from Layne Eadie that dipped and swerved right past Conor Gough. Grays Ath did not panic and slowly built up their attacks with Jay Leader and Jordan Wilson using their strength. Grays got their reward in the 40th minute, when a lovely piece of individual skill in the box saw Jamie Guy twist and turn before slotting the ball home from close range. But just before half time, Harlow struck back as they stretched the Blues defence with a cross from the left before Fabion Simms headed in a the far post. The goal asked a number of questions of the Grays defence. Grays came out for the second half looking far more assertive and it soon paid dividends as Joao Carlos equalised from close range in the 50th minute. The Blues were making life difficult for themselves though as soon after Aaron Best-Riley was sent off for a second yellow card. The game continued to be entertaining with any real chances. Grays' Glen Little came on and showed his class. The referee, Elliott Kaye, was pedantic in the extreme and so sure enough, Harlow defender, Fabion Simms was red carded for a second yellow on a fairly innocent challenge on Jamie Guy. Grays sub Joe Benjamin nearly won the tie with a lovely curling shot from inside the box but it went wide. Subs not used: Glowacki J, Yala R, Marfo A, Griffiths L.